Creating picture in picture videos can be one of the best ways that you can make reaction videos or play-by-play videos showcasing yourself on camera as well as action happening in a main video. This type of video has become extremely popular on YouTube and other video sharing websites. If you are interested in breaking into this medium is become much easier with the help of the macOS Sierra update. Through the improvements with this new operating system and an extremely high demand of picture-in-picture videos, users are finding it much simpler to create this style of video. In order to create professional picture-in-picture videos you're going to need access to an editing suite. Having a professional editing software suite can be one of the best ways to edit together a picture-in-picture video and add in some of your own effects in the process. One of the best picture-in-picture video editors available on mac OS sierra right now is Wondershare Filmora. Supports almost all kinds of video formats, including MKV, WMV, MOV, AVCHD and more. Complete all classic video editing like crop, trim, cut, split and combine in a few clicks. Provides more than 300 styles and audio/visual effects to ignite your video. Advanced video editing tools like PIP, Face off, Mosaic, Jump Cut, etc for you to explore. Convert your edited to any popular video format or fit video to mobile devices. Burn your own DVD collection or upload to YouTube and Facebook, Vimeo instantly. To get started locate an area that you can download the Wondershare Filmora program. The free editing software is available from the Wondershare website as well as throughout several other spots online. Getting your hands on the software is the easiest part and installing the software takes just a few moments. You can use the free version of Filmora or unlock all of the features of the program by paying for the full licensed version of the software. After you have installed the full version or trial version of the program, you just need to import the video files that you would like to use. Think of two videos that you would like to play at the same time in a picture-in-picture format and then import both video files to the editor. Once the two files have been added into the software you can manipulate them however you see fit. To get PIP video, double click on the added video or image on PIP track, the Motion panel will open. Click "Advanced" button for extra Mask and Effect options. Choose a motion effect you like to make Picture-in-Picture video/images. There will be a sign when motion is added to a PIP. You can put the Picture-in-Picture video/images to any position you want. Once you are comfortable with the viewing area that you would like to play back, put the videos on top of each other in a picture-in-picture style and have them play at the same time. This picture-in-picture format is like a video overlay and you can take out the area where the second video will play and sync it up with the main video too. Once you are comfortable with how the videos play in relation to each other, where the video tracks are located and more, you can work at saving the film. Wondershare filmora makes the process of saving much easier because there are so many files available for output. With a massive amount of video output tools and track options, you can pick options like the optimal resolution for your video, the best sound options and more. 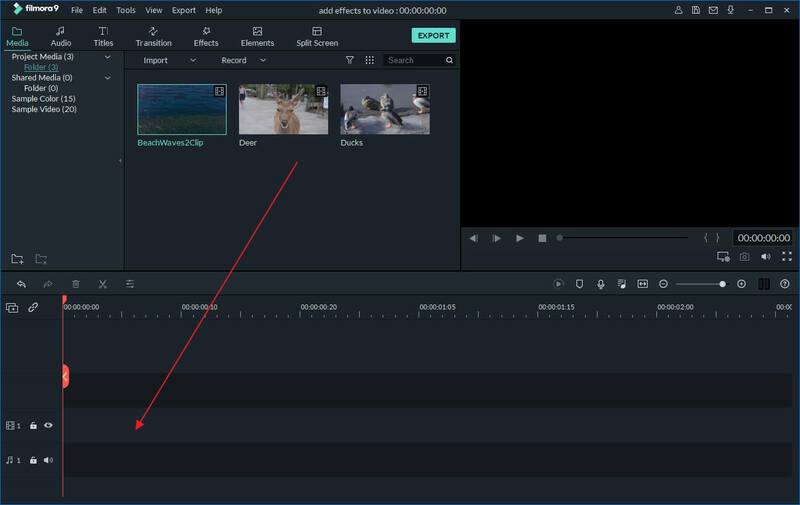 You can also find upload tools or DVD burning tools available all within the filmora editor making the process of sharing your video much easier as well. If you are looking for the easiest way to create picture-in-picture video experiences on the new Mac OS sierra, you have got to try Wondershare Filmora.